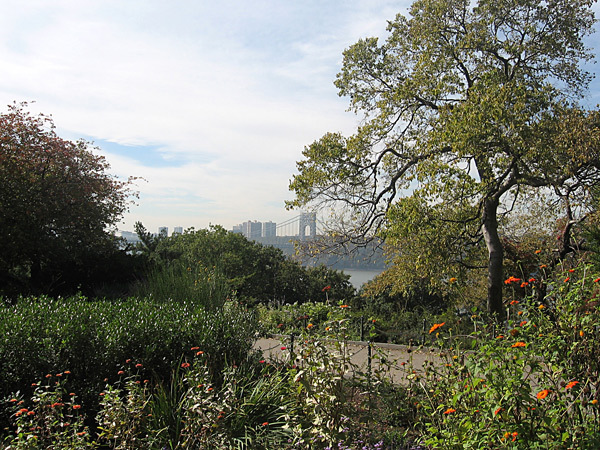 Named after the last British governor of colonial New York, this 67-acre park is situated in Washington Heights overlooking the Hudson River. The area developed as an elite enclave, and in 1917, John D. Rockefeller purchased the Tryon Hill estate and hired Olmsted Brothers to design the landscape. 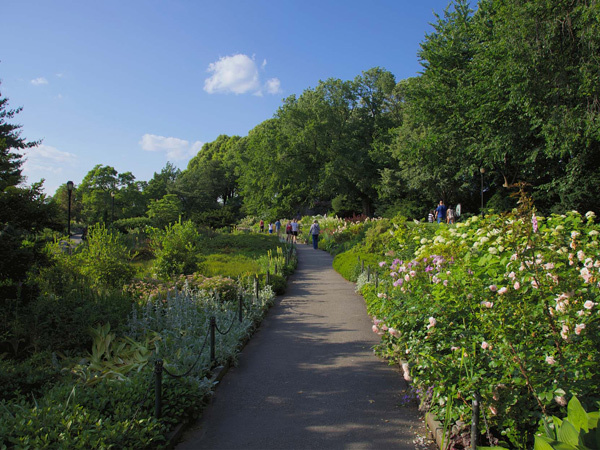 Frederick Law Olmsted, Jr. created a master plan which took advantage of the property’s abundant Manhattan schist, transforming boulders and rocks into overlooks, terraces, and promenades that offered sweeping views of the New Jersey Palisades. Locally excavated stone was used to build the gardener’s cottage and low walls lining the scenic drive, which originated at a formal entrance circle in the south. 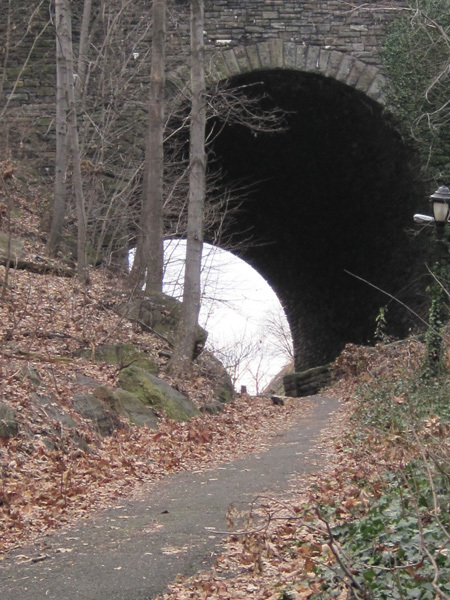 Eight miles of winding pedestrian paths cut through wooded slopes, interrupted by open lawns. 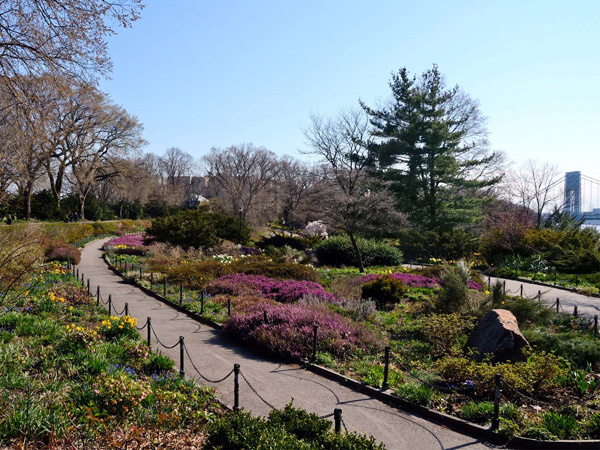 Olmsted also created the eastern Alpine Garden, which featured a staircase, grotto, decorative rocks, and flora found in mountainous climes; and the Heather Garden, placed on terraces below a natural ridge topped with a 600-foot long promenade. 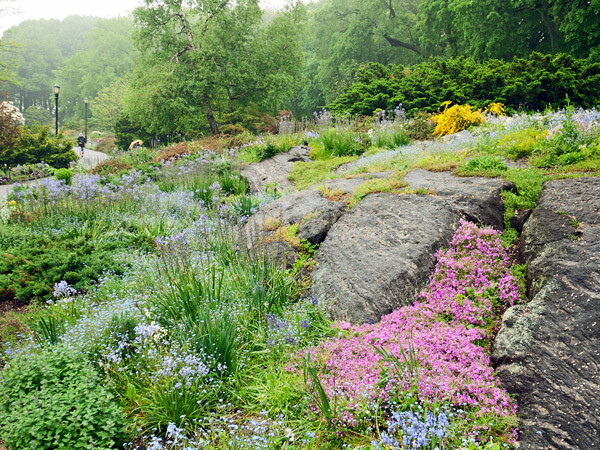 The garden is planted with American elms, low-growing heathers, heaths, brooms, perennials, and shrubs. A Beaux-Arts plaza with a triangular pool and fountain was built in the property’s northeast corner. 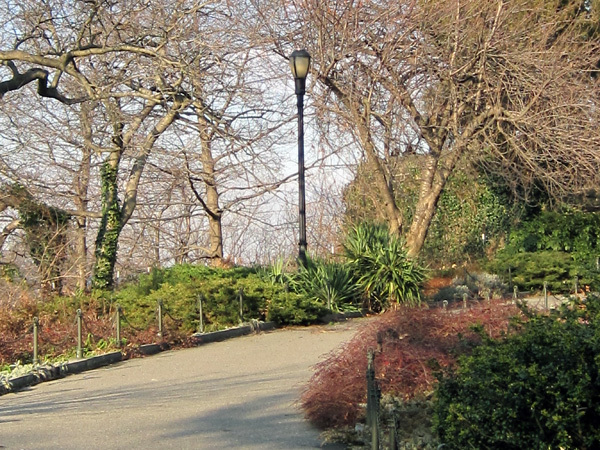 The estate was deeded to the city and opened as a public park in 1935. The park also features two playgrounds, a volleyball court, and a dog run. 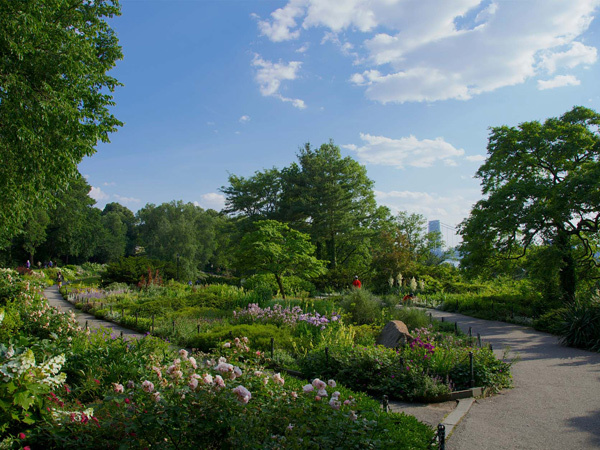 In 1983 Quennell Rothschild Associates and horticulturalist Lynden Miller were commissioned to rehabilitate the garden. 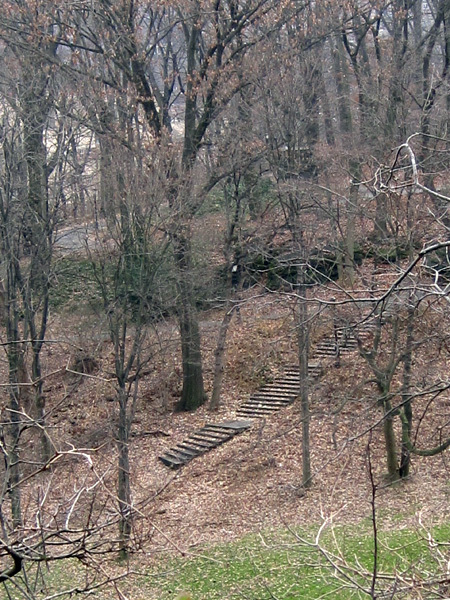 Fort Tryon Park and the Cloisters, the Metropolitan Museum of Art’s medieval museum, were listed in the National Register of Historic Places in 1978.